D. Simon, The Problem of Man and Sociology: Filippo Barbano’s juvenile sources Filippo Barbano, one promoter of the ‘sociological renaissance’ in Italy after World War II, discussed as a student a thesis (1947) upon Personalism in the legal and christian philosophy. His main source was Norberto Bobbio’s historical personalism which concerned the Person as ‘relationship’ and normative value with a fundamental attitude to communication. Barbano enphasized then the role of the person as concrete agent, to whom Christianity provided a foundation for a joint and several living-together. Afterwards Barbano met american sociology and was confronted in particular with its attempt toward an ‘integrated science of man’ with special attention to the concept of ‘basic personality type’. This was declined in an anthropological sense at a high level, which recalled Marcel Mauss’ ‘total man’, concrete and far from the speculative trends of classical european sociology. All this lead Barbano to formulate (1955/58) a program for theory and research, which had to combine thought and experience, along the lines of the most recent american sociology, seeing man in action within a moving social context. Key words: person, science of man, action, communication, basic personality tipe, theory and research. 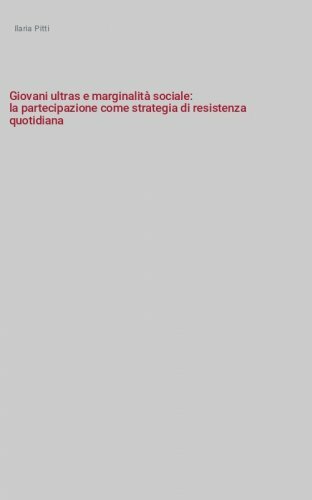 E. Besozzi, Towards a reconceptualization of the youth condition Study and understand young people today is very difficult and challenging. A good strategy is to consider the condition of contemporary youth at the center of the relationship between the generations. In this way, the transition to adulthood becomes a central aspect of this relationship: we can consider the action of the actors and the importance of different contexts and social structures. The examination of the transition to adulthood shows a wealth of concepts and categories of interpretation, but it also highlights the need to submission to a critical review. In particular, the concept of generation, developed by Karl Mannheim, is enriched today with many aspects in relation to a globalized culture and new digital technologies. The youth condition, in the end, emerges in all its variety and richness, it’s a long moratorium, but with a lot of experimentation and new form of dynamic and in which he also notes the need for self-realization. Key words: youth condition, transition to adulthood, generations, long moratorium, adult generations, younger generations. 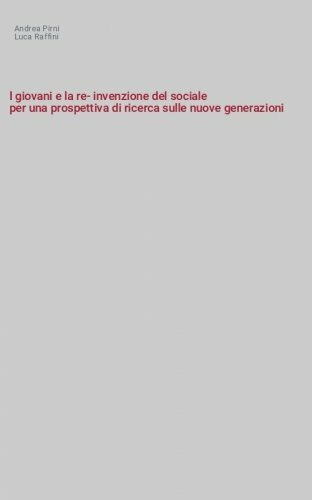 P. Aroldi, Digital generation? Young people and new communication technologies, beyond the rhetoric Young people seem to have a peculiar relationship with Information and Communication Technologies (ICTs), and some scholars are accostumed to refer to them as a generation of «digital natives». 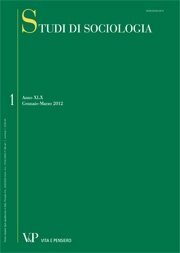 Such a rhetoric approach, very common in social discourses, is here questioned because it tends to hide the complexity of the sociological notion of «generation» and the differences still standing among young people about digital and internet literacies: a sort of digital divide in access and uses, affecting both intragenerational and intergenerational relationships. Digital competences for identity expression, social and political participation, learning and creativity are evaluated as far as tools for empowering youth’s agency and life-chances, focussing on conflicting dynamics of emancipation, on the one side, and reproduction of social, economic and cultural capitals of the families, on the other side. Key words: Youth, ICTs, internet, agency, digital divide, generations.